Lots of work waiting for me. I love how this one came out. 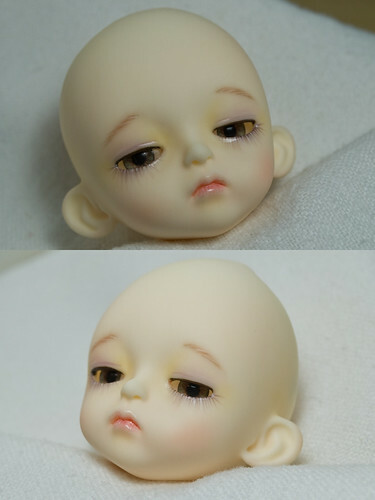 I’m a real fan of the lighter faceups and I like the look of the white eyebrows and lashes. She heads home to her owner soon, I hope this face fits her character. 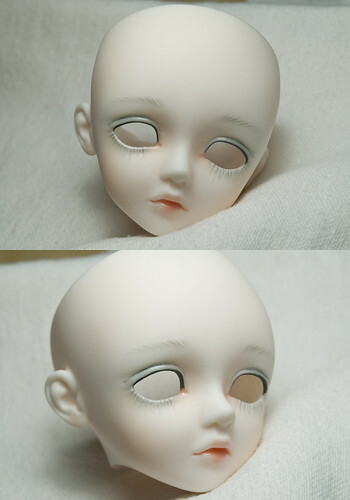 This weekend I’ve been working on the kid delf cherry commission. I’ve got the blushing done on her. 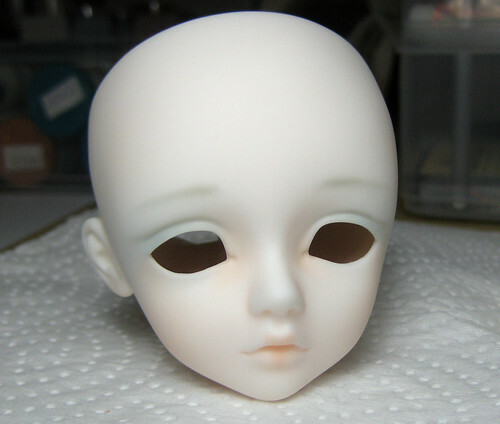 Her owner wants a very light faceup, almost ethereal. She is kinda a ghost child. 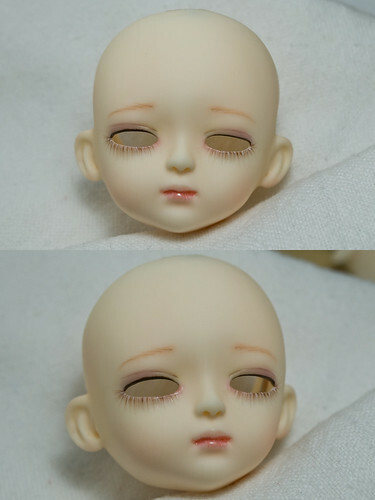 She will have white eyebrows and lashes and just a bit of silver on her eyelids. Here is the new commission, Kid Delf Cherry. This one’s cute. 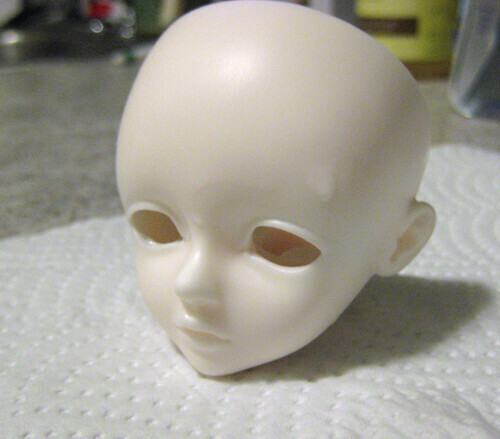 She’s going to be all light with blues and silvers, she’s a bit of a ghost. I finished the three Lati heads today. They turned out so cute and so different from how they started. 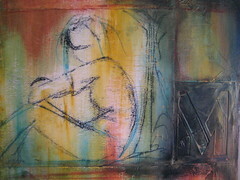 Two of them arrived with very dark faceups and their owner wanted something soft and light. I was happy that the previous faceups didn’t leave any stains. These three Lati Yellows arrived from cpl628da yesterday. 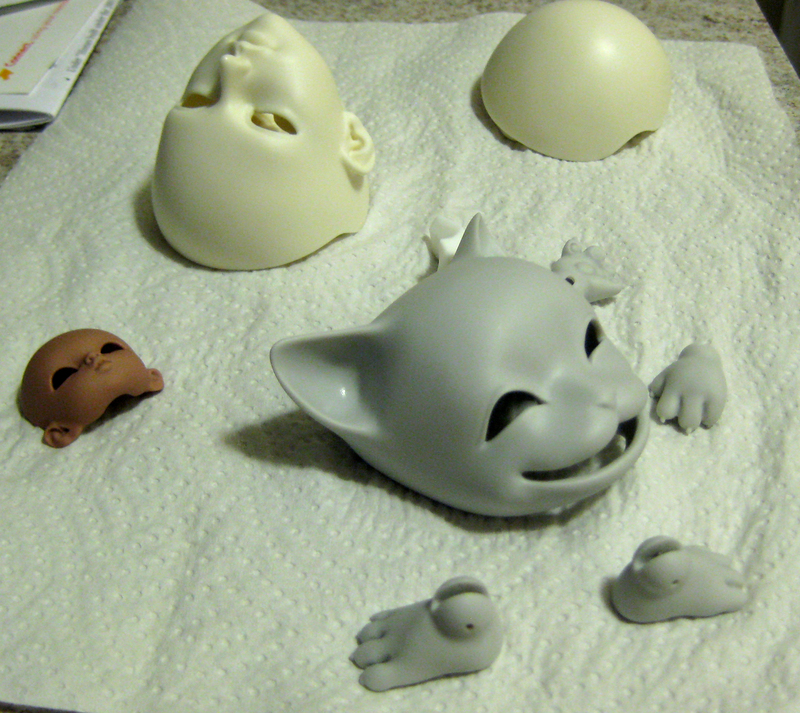 They’re all cleaned up and ready for their new faceups. I love working on dolls this size. I think they are going to be cute! 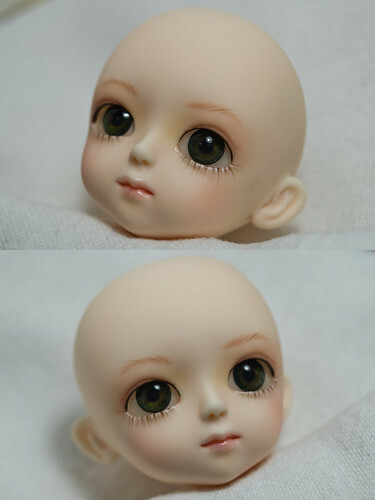 Here’s the latest faceup. I had never seen in person a Bobobie before. I wasn’t sure at first but I am so happy with the outcome. 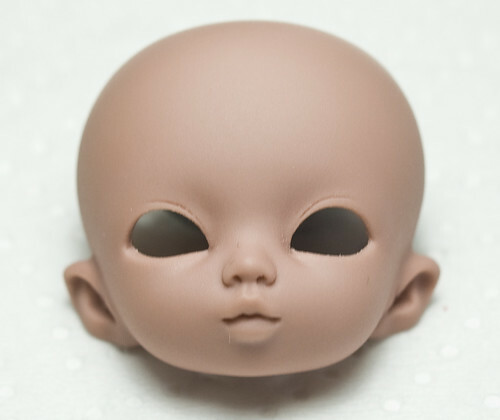 Every faceup I do I go through a point where I’ve got the blushing done and I get real worried because its not coming out the way I imagined but then I push through and start the acrylic and it all turns out good. Her coloring was done to go with yellow eyes and a red wig her owner has for her. The wait continues for my minifee Rheia and pukifee Luna. I was fine with the wait when I was still saving money to pay off the balance but now that I have it all its driving me crazy. Of course they’re not even home yet and I’m already planning the next doll.